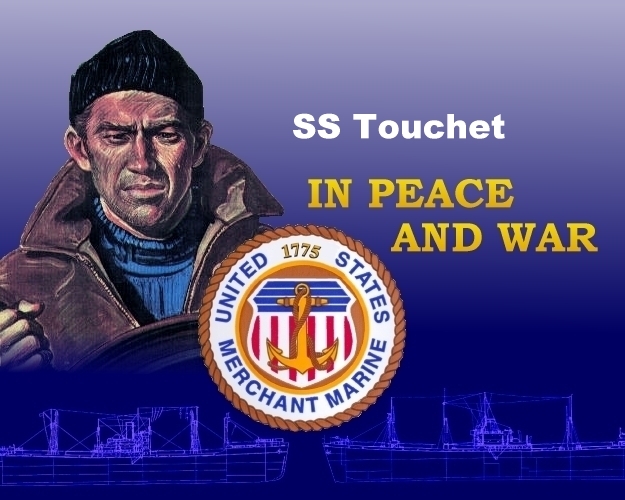 SS Touchet was torpedoed by U-193 in the Gulf of Mexico while en route to New York from Houston, TX. The ship was ordered abandoned within 15 minutes . Another torpedo struck 15 minutes after that sealing the ship's fate. Several of the Naval Armed Guard stayed by their gun until hope of survival had past, they were captured by the undertow of the sinking ship. ... Survivors were picked-up by SS Lilie Mor, USS Falgout (DE-324) and USS Raven (AM-55).